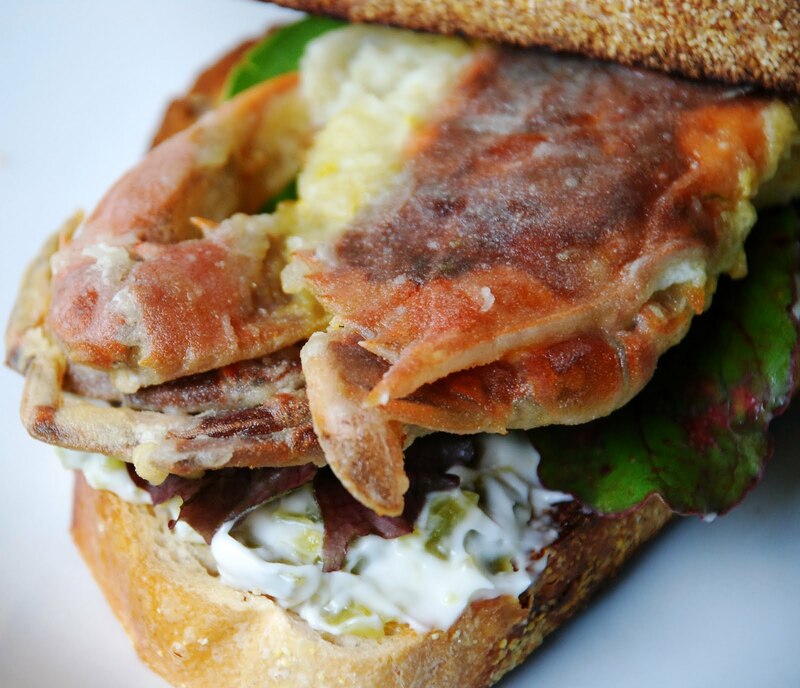 There is nothing better than Soft Shell Crab and I am so happy that they are in season again. I know a softshell crab looks strange but this crab is so sweet - especially with the crunchy taste of the legs. Sorry - the only way to really do this right is to fry them so that makes this dish a weekend only cheat – unless you happen to be in the neighborhood of Shaws Crab House who always does them perfectly. I used this recipe from Rachel Ray and thought that it was pretty good. I’ve never used tartar sauce for soft shells before and thought that it was a great compliment to the sweet flavor of the crab. Heat about 3 inches of oil in a saucepan to about 400 degrees F.
In a medium bowl, mix eggs, milk and beer until creamy. Put flour in a separate bowl. Dip soft shell crabs into wet batter and then dip into flour. I shake off all the excess flour because I like a light coating on mine. Drop battered crab into hot oil. Fry crab for 3 minutes on each side or until golden. Drain on a paper towel. Serve on buns or bread, with tartar sauce, tomato and lettuce. Mix mayonnaise, horseradish, pickles, salt and pepper together in a small bowl. Add lemon juice. Refrigerate until ready to use.